On that tragic day, September 11, 2001, I was on the Radio addressing the public in Dallas and making sense out of the chaotic incoherence of the day. I was called in to handle the emergency situation, and I went on air from 10Am through 5:00 PM on AM Radio 1150 and 950. My first goal was to bring a sense of clarity and direction to the public. Then pave the way for a sense of purpose and a sense of what needs to be done. The Blood centers had to close down due to the people’s overwhelming response to my calls. My late wife Najma was driving around and reporting from the Blood centers and she called in to tell us the lines were too long and that they cannot handle it any more for the day. The fog was clearing up; Osama bin Laden was the bad guy and we have to go get him to serve justice; Muslims had nothing to do with Osama, nor did they authorize that terrorist; and a declaration of war against Osama. The Spiritual leaders from all faiths and traditions were called in to pray and share their wisdom for this moment. They were from the traditions of Baha’i, Buddhist, Christian, Hindu, Islam, Jain, Jewish, Sikh and Zoroastrian. Area City Mayors, community and business leaders joined in an effort to bring a sense of direction. The sense of Unity that emerged on the Radio, the multi-faith prayers that were arranged instantly was a relief in that chaotic disharmony. 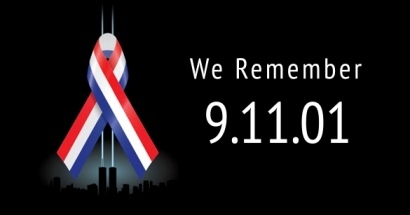 I made a commitment to dedicate this day and unite people on the day every year. For the First four years I did the radio show talking about the effect of 9/11 on society, economy and refreshing and galvanizing the interfaith movement. September 11, 2003 - 4 Hours of Radio Talk Show - Bring out the experts in to share the impact of the event on Politics, history, world relations, multi-faith relations and the economy. September 11, 2005 – Birth of the Unity Day USA - 14 faiths were represented at the event with 650+ individuals in attendance, 8 Mayors, FBI Chiefs and DOJ attended the event and the Fire and Police Chiefs were honored. The civic Officials proclaimed it as UnityDay USA. It was well covered by the media. It was my love for my country to make this day a national day, and the Muslims wanted to do this and hence it is an initiative of Muslims, I want my fellow Americans to know that Muslims are committed for the well being, peace, prosperity and unity of America. To make our homeland a safe, secure, peaceful and a prosperous place we have to relentlessly pursue it. The work has to be done by you and I, and not look for some one else to do this for us; the American way. One of the many things we can do is to have a face to face with people of different faiths, ethnicities, races and other uniqueness', let’s build a threshold of acceptance for others and start dropping our phobias. We are a part of the mosaic and each one of us needs to remain connected with the other to make us one people and one nation under God’s protection. It is an initiative of American Muslims to add their positive contribution to America in uniting the people on the day of disharmony. We the people of the United States of America of every faith, race, ethnicity, culture and background are here today, to express our desire to co-exist in peace, and pray for the unity, safety and well being of our nation. The Civic Leaders included Mayors from ten cities, and the FBI, police and Fire Chiefs. Faith Leadership - Each faith tradition shared a line of wisdom from their tradition. Unity Day USA is about re-affirming our faith in the goodness in humans, and the longing for harmony and co-existence. Faiths included Baha’i, Buddhist, Christian, Earth Based Tradition, Hindu, Muslim, Jain, Jewish, Sikh, Wicca and Zoroastrian faiths. The purpose of Unity day was and continues to bring together Americans of all hues and rededicated our pledge for the peace, prosperity and unity of our nation. I will speak up when there is injustice. I will do my best to make my words and my actions to mitigate conflicts. I will do my best to do my share in nurturing goodwill for the benefit of all. I will do my share of peace work, without looking for others to do their share. I will do my best to accept and respect the God given uniqueness of each individual. I am committed to Unity day USA.